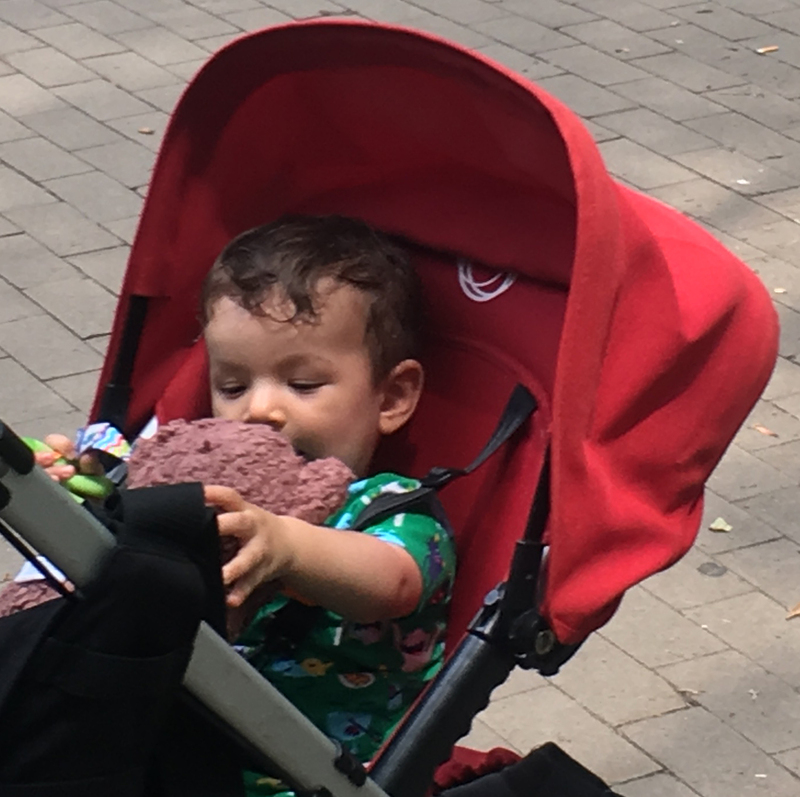 In light of recent events, Bears for Humanity gathers together to hand out organic teddy bears to spread peace, love, and harmony in Philly. As a Starbucks fan, I want to share and spread the message of love, peace and racial harmony with everyone. What better way than a teddy bear as the messenger of love. 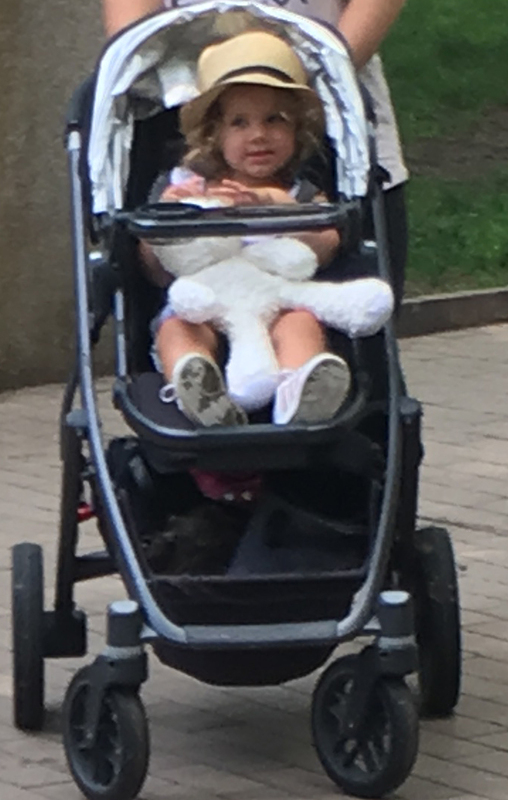 Inspired by Starbucks closing their doors today for racial sensitivity training, Renju Prathap, founder and President of Bears for Humanity, inspires Cailey Ryons, Miss Philadelphia Outstanding Teen, and others to hand out free teddy bears on the streets of Philly near Rittenhouse Square. Renju has been a loyal Starbucks customer since the 90’s. 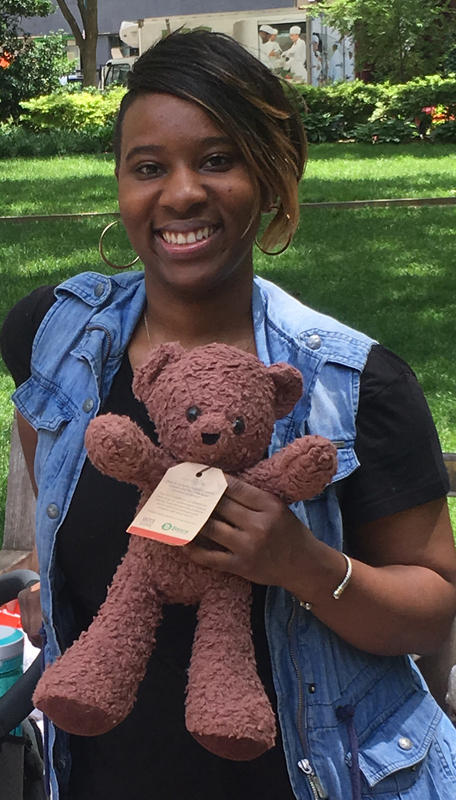 Knowing that Starbucks would be closing their doors today, Renju was inspired to give people in and around Philly a pick-me-up by using the ultimate gesture of love; Bears for Humanity huggable soft organic teddy bears. 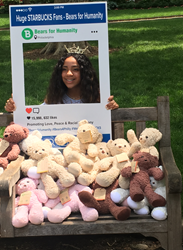 Although a quick and spontaneous idea, the Bears for Humanity team was able to gather 50 bears and a great group of people, including Miss Philadelphia Outstanding Teen, Cailey Ryons, to help on his mission to spread peace, love, and harmony today. As they took to the streets, Cailey and the Bears for Humanity team helped to spread a message that everyone is equal and everyone deserves to be loved. “I have been a lifelong Starbucks customer and fan. As a Starbucks fan, I want to share and spread the message of love, peace and racial harmony with everyone. What better way than a teddy bear as the messenger of love. Bears of different colors live together in peace,” Renju Prathap founder and President of Bears for Humanity. Not all teddy bears are created equal. Factories all over the world mass produce stuffed animals. Unlike most stuffed toys on the market, Bears for Humanity teddy bears are hand-sewn, stuffed and finished in America. Bears for Humanity bears don’t come from factories. These bears are proudly built in the USA. Teddy bear makers make every teddy bear with love and care! Each bear-to-be enjoys a one-on-one relationship with its teddy bear maker, who works with the bear from stuffing at the start to finishing and fluffing before the bear is sent off to be loved by its new owner. Bears for Humanity is well known for the way that they give back to their community and around the globe. Their standard everyday mission already makes their bears special: for every bear purchased, a bear is also given to a child in need, plus the fact that they work with CalWorks to provide at-risk mothers, fathers, and caregivers jobs. That is a lot of giving! But once again, Bears for Humanity has taken that mission much further. Earlier this year Bears for Humanity partnered with Rite Aid to donate money to the Children’s Miracle Network Hospitals, and now they are working to donate $10,000 worth of bears to a Children’s Charity in Philadelphia as a symbol of love and harmony. Today’s gesture of spreading love through their organic bears is only the start of the good things that Bears for Humanity has in store this year. Bears for Humanity makes gifts with a message to inspire fellow human beings, young and old to make a positive impact in their community.